Ligaments are tough bands of tissue that connect the bones of the body together. They also surround joints to provide support and limit movement. When damaged, they can leave joints unstable. 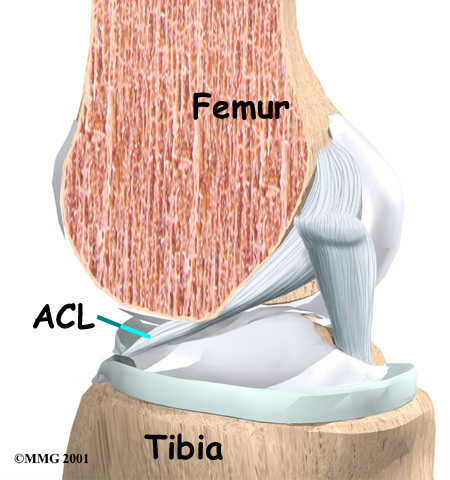 Of the four main ligaments surrounding the knee joint, the anterior cruciate ligament (ACL) is probably the most commonly injured. In most cases, the ligament is injured playing sports. A few years back, orthopedic surgeons would only repair the injured ACL. However, since the recent discovery of the anterolateral ligament (ALL), the surgical approach has changed. The ALL supports the pivot motion that is often used in sports like basketball, football and soccer. Through research, surgeons are finding that the ALL often becomes injured when the ACL is injured. Therefore, the SROSM orthopedic surgeons are now examining and repairing both ligaments at the same time, which will provide patients with a much more stable knee. Surgery is usually performed arthroscopically and often involves the use of a graft to repair the ACL and ALL ligaments. In some cases, however, open surgery, which involves a large incision in the knee, may be needed. There are two common grafts used to repair a torn ACL and ALL: the patellar tendon graft and the hamstring tendon graft. While both get similar results, a growing number of orthopedic surgeons are using grafted tissue from the hamstring tendon because it can be less painful after surgery. Most knee specialists have their patients take part in formal physical therapy after ACL and ALL repair. You will probably be involved in a progressive rehabilitation program for four to six months after surgery to ensure the best results possible.